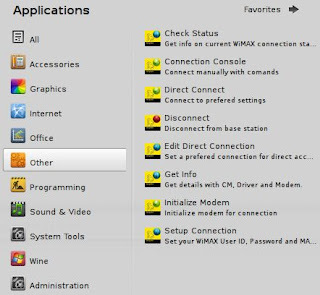 Use Banglalion WIMAX Modem on Linux Mint 11 or Ubuntu 11.04 ~ Download Everything You Need ! 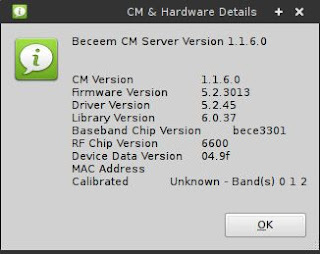 A very common question : Can i use Banglaion Wimax Modem on Linux / Ubuntu ? 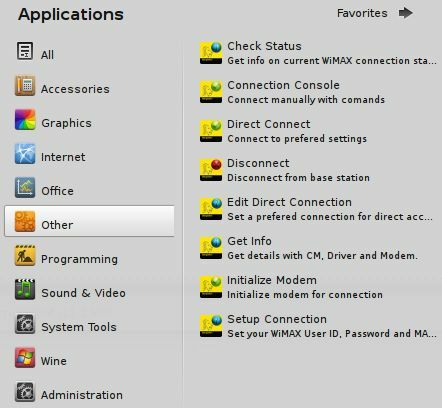 Now, I'll tell you how you can use banglalion Wimax modem on Linux OS like Ubuntu, Linux Mint or Zorin OS. Firstly you have to download the necessary ".deb" files from here . Then double click on it or right click and select "Open with GDebi Package Installer". "The package is of bad quality" error may be shown on Ubuntu. Just ignore it. After installation process is done you will see some launchers under "Others" category. Now to connect modem you have to click on "Initialize modem"(Give Password if required).Now go to "Connect Console". Some Base id along with Noise and CINR will show on terminal window. Yes, You are done! Now every time you boot your PC firstly go to "Initialize Modem" then click "Direct connection", you will be connected without any hassle. 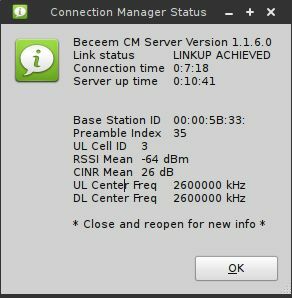 If you want to know your CINR, Base id and connection time during your online session just go to "Check status". If you want to know your modem driver info, connection manager version etc. go to "Get info". Every time you boot your PC 1st go to "Initialize modem". to connect click "Direct connection" and to disconnect go to "Disconnect". If your modem isn't found, restart your PC. Download necessary files from here. Install the software and run it. 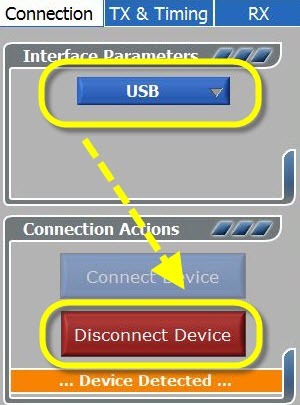 then connect the modem device after selecting USB like this image. Now go to "Edit tools" function under DSD tab. 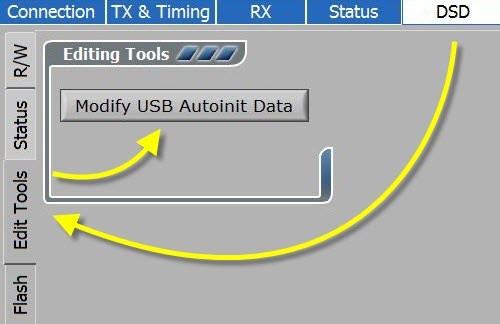 Click on "Modify USB autoinit data". Change the vendor id and product id from 19D2 to 198F and 0172 to 0220. Recheck this before you click on "write to device". Wait for some time and you will see your device id has changed. Now connect your modem on linux and your modem will be discoverable too. 64 bit OS is not supported. will not run without changing device id on ZTE AX226. Firstly I want to say that i wasn't built that thing. All credits goes to original developer Minhazul Haque Shawon for this binary package and then Oniruddho Odhikary for making it possible to make module and other necessary files from source code . For more info go to Project home page. or Projonmo forum.